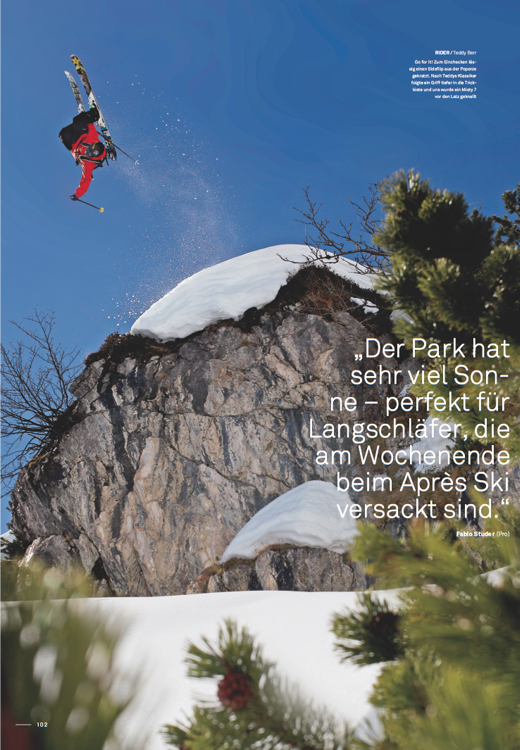 Amplid is taking over the freeski world; if you need proof, check-out this double page hit from the latest edition of Skiing Mag. On page 102 and 103 (the premium pages in the magazine I might add) you’ll find Teddy Berr and Juergen Nigg hucking their meat for the local paparazi. and Juergen judging his speed just about right.